Extrinsic consequences have been criticized on the grounds that they decrease intrinsic motivation or internally initiated behavior. Two popular rationales for this criticism, Lepper’s overjustification hypothesis (1981) and Deci’s motivational theory (Deci & Ryan, 1985), are reviewed and the criticism is then redefined behaviorally. 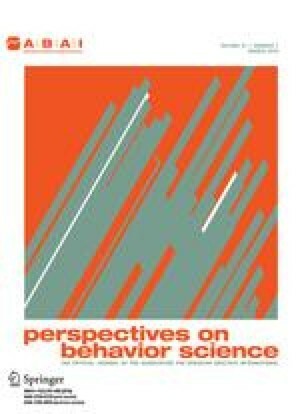 “Intrinsically controlled” behavior is defined as behavior maintained by response-produced reinforcers, and the question concerning extrinsic consequences is thus restated as follows: When behavior is maintained by response-produced stimuli, does extrinsic reinforcement decrease the reinforcing value of those stimuli? The empirical support for this detrimental effect is summarized briefly, and several possible explanations for the phenomenon are offered. Research results that reflect on the effect’s generality and social significance are discussed next, with the conclusion that the effect is transient and not likely to occur at all if extrinsic rewards are reinforcing, noncompetitive, based on reasonable performance standards, and delivered repetitively. Portions of this paper were presented at the annual meetings ofthe Association for Behavior Analysis, May 1986, Milwaukee, Wisconsin, and the Northern California Association for Behavior Analysis, March 1987, San Mateo, California.